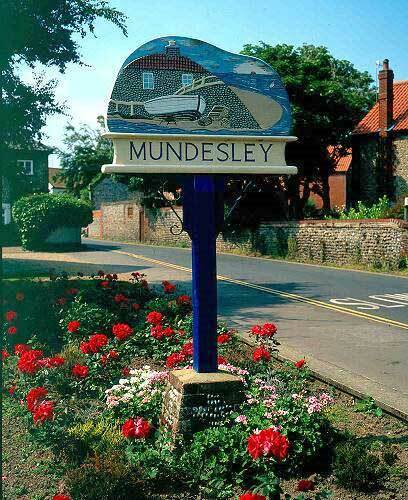 The village of Mundesley straddles the main coast road just a few miles to the east of Cromer. It is a pleasant North Norfolk village with a few shops and a post office in the centre. Mundesley’s Ship public house is set overlooking the North Sea at the side of the main coast road. There is plenty of parking space and a grassed area with play equipment at the rear of the pub. The Ship is one of the oldest pubs in Norfolk having been operating as such for about 300 years. The recently refurbished premises has a cosy bar area (log fire to fight off Norfolk’s cold easterlies) and an excellent dining room with an unobstructed sea view. The management pride themselves on offering a warm welcome to all visitors (including your well-behaved dog). Food served at The Ship is of high quality and is produced using locally sourced ingredients wherever possible. There is a wide choice on the menu, including several dishes that children will love. A large selection of wines and spirits, and a wide choice of local ales and beers (monthly guest beer picked by The Ship’s Ale Appreciation Club) are available at the bar or at your table. A selection of dishes from the menu are available to take out. Telephone orders are accepted. The pub is presently managed (very well) by Cheryl and James, who ensure that all their customers are well catered for. For your satnav: NR11 8BQ. Food and service at the Ship Inn are perfect.